Meet the brilliant Haverland Designer RC12TT wall mounted electric heater. Moving away from conventional central heating systems, the 'Designer RCTT' range is the way forward, using 'clean technology' to keep your interior decor stain, soot and dust free. 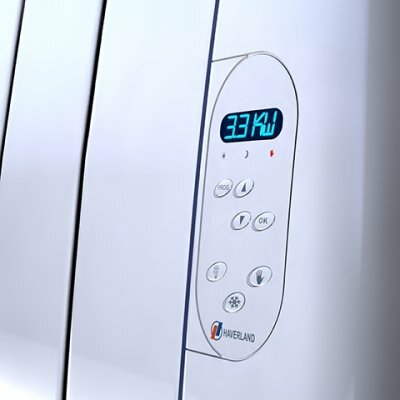 The Haverland 1500W heater has an innovative new function, a built-in energy monitor, which allows you to make significant savings just by reducing the temperature settings by one or two degrees, making it a hugely popular choice. Thank you very much for the great review of our friendly service. A great company to deal with, the staff were helpful and efficient. Order made on a Wednesday heater delivered next day. Highly recommended. Fantastic, thank you very much for the really great review. Brilliant is the only word that comes to mind - it would appear that we are already saving on our electricity bills. Good information provided when phoning about the product, order processed immediately plus excellent next day delivery service and it was free of charge. 10/10 for the Heater Shop and will definitely recommend you to our friends and family. Thank you very much for your fantastic review and recommendation. Would be 5 stars if programming instructions were clearer. Good easy to use website, prompt delivery at specified time. Thank you very much for the great review, we appreciate your fantastic feedback of our service. Recommended - quick and easy! Thank you very much for the fantastic review and recommendation of our service, it is very much appreciated. Because of your excellent service from start to delivery. That is really fantastic to hear, thank you very much for the feedback. Small problem with switch was dealt with immediately. Small problem with a switch which was rectified immediately. Brilliant, thank you very much for taking the time to review our service as excellent. This was bought to replace our 2Kw Haverland with a ceramic core. During the power cuts it shorted at the wire going into the core so had to be replaced after seven years. We picked one exactly the same dimensions that slotted onto the brackets already on the wall. The new one is 1.5Kw with Thermal gel core and it works perfectly. If there is a snag I seem unable to set this on PLCF personal settings. Therefore I am using it manually depending on the weather. It's just remembering to turn it down to 17C when we go to bed. Otherwise we love them and have five in total installed. Thank you for your great product review. Honest reviews really help potential customers, so thank you very much for taking the time to give your feedback. Good company to deal with, delivered next day as promised in the 1 hour slot stated. Fantastic, thank you very much for your great review of our top service, we really appreciate your comments. 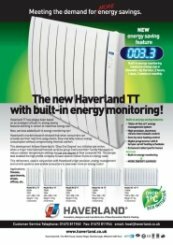 Thank you for reviewing the Haverland RCTT Designer Electric Radiator as excellent and for our 5 star rating. produces a good amount of heat. It racks up the kilowatts at the moment as my workspace is not insulated well enough at this time. Service was fast, efficient and product delivered on time. Heater works well in its early days. Thank you very much for taking the time to review us as excellent. Excellent so far. It was easy to install and the card guide for the wall bracket was very useful. Excellent, very helpful and informative staff. 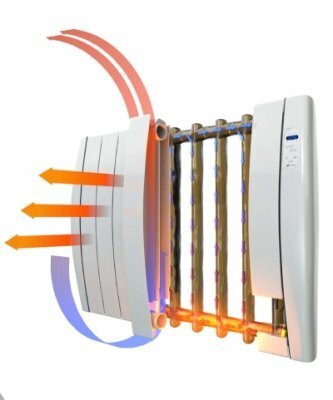 Easy to order the heater and very quick delivery. I will use them again and recommend to a friend. Fantastic, thank you very much for your excellent feedback and any recommendations that you make, we appreciate it greatly. Installed & used on manual for now . Delivery service really good. Packing(nothing would break in there). Packing(nothing would break in there). That's fantastic, thank you for taking the time to review us. 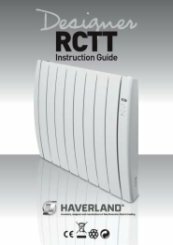 The Haverland RCTT designer electric radiator is a very popular radiator and with good reason - it is a fantastic and efficient electric radiator. Thank you for your fantastic review, and we very much look forward to hearing from you again in the future. See above. 2 ordered. 2 damaged!!! Thanks you very much for your valuable feedback. I have investigated your situation and I understand both your individual orders arrived in perfect packaged condition and that the damage was incurred by the manufacturer. This is of course irrelevant to your situation, although it is obviously important to our customer service to understand our input in the process- particularly when it comes to damages. As you can see by the numerous positive feedback that we receive, it is extremely rare for us to have this type of occurrence. I understand that you are on holiday and therefore your replacement heater is here and waiting for you to call. I will of course follow this through to ensure the situation is resolved. Pleased with it though winter will be the test. 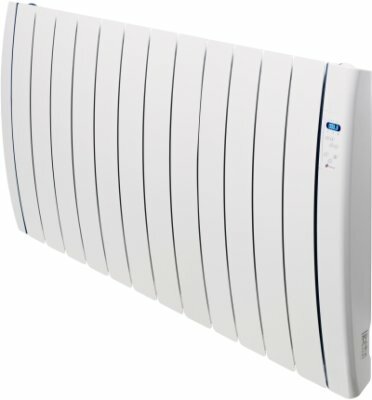 This radiator can hold the programmed room temperature to within half a degree. A really good buy but the information booklet is somewhat remiss when describing the steps for programming. The first four steps are fine but the programming button needs to be held for 2 seconds before you can move on. Brilliant service, heater arrived the next day as promised at no extra cost. Thank you very much for for your feedback. If you need any further assistance, please give us a call on 01473 276686 and we will be happy to help. We very much look forward to hearing from you in the future. Great to deal with and dealt with an issue spectacularly quickly and efficiently. Thank you for your great feedback, we appreciate it very much. Thank you very much for reviewing us as both great for service and product. Thank you very much for reviewing us. 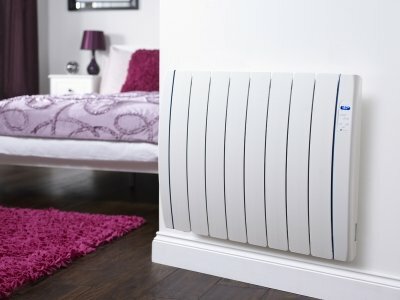 The radiator was easy to install, looks smart and ultimately heats up a large room quickly. I would definitely opt for the thermo gel heater if you are trying to decide what to go for. It doesn't take long to heat up but holds the heat for a long time. We appreciate you taking the time to give your advice on the Haverland RCTT as it really helps others who may be unsure. The unit arrived 2 days after ordering, but it had sustained some damage. A replacement was sent without question or fuss. Thanks! Thank you for your feedback. We were sorry to hear of the damage and hope that we exceeded your expectations with our dedicated customer service. If you need any further assistance, please do not hesitate to contact us. Our free next day delivery service is very popular and thanks to our logistics team we are able to live up to our promises. Please contact us again if you need any assistance or advice in the future. Thank you for your positive feedback. We very much look forward to assisting you in the future. Quick and easy to install and up and running in minutes. Very impressed how they hold the rooms temperature. 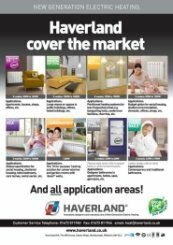 We are really pleased that you are happy with your new Haverland radiator. If you need any further assistance in the future, please do not hesitate to contact us.